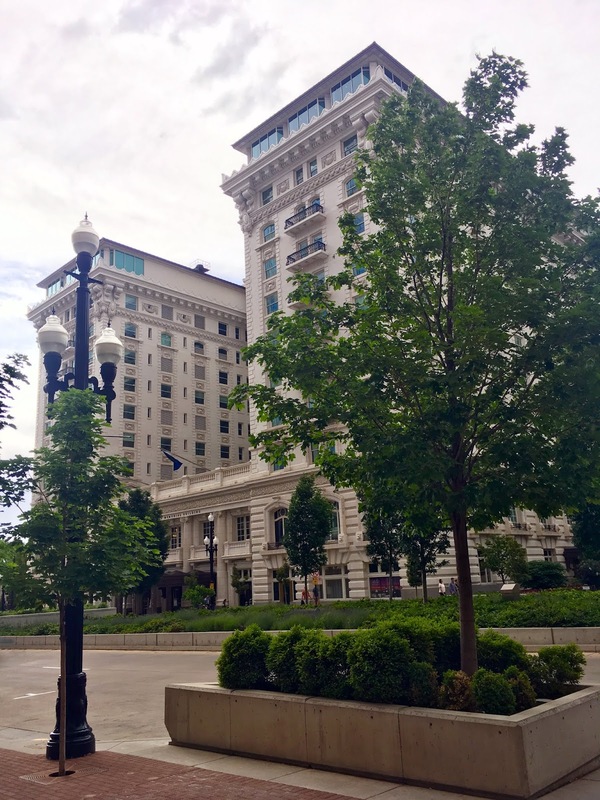 "For over 100 years, The Joseph Smith Memorial Building has been providing guests from all over the world with exceptional service and hospitality. Previously named the Hotel Utah, construction on the building began in 1909. Two years later in 1911, the hotel opened for business. During its 76 years as a hotel, the Hotel Utah was internationally recognized for its elegance and world-class service, attracting people from US presidents and celebrities to tourists. At the center, the building has a concrete and steel structure and is covered with white glazed terra cotta and brick. Many additional remodeling projects have been completed over the years. In 1987, the Hotel Utah was closed for renovations. The building reopened in 1993 as a social center and was renamed The Joseph Smith Memorial Building." 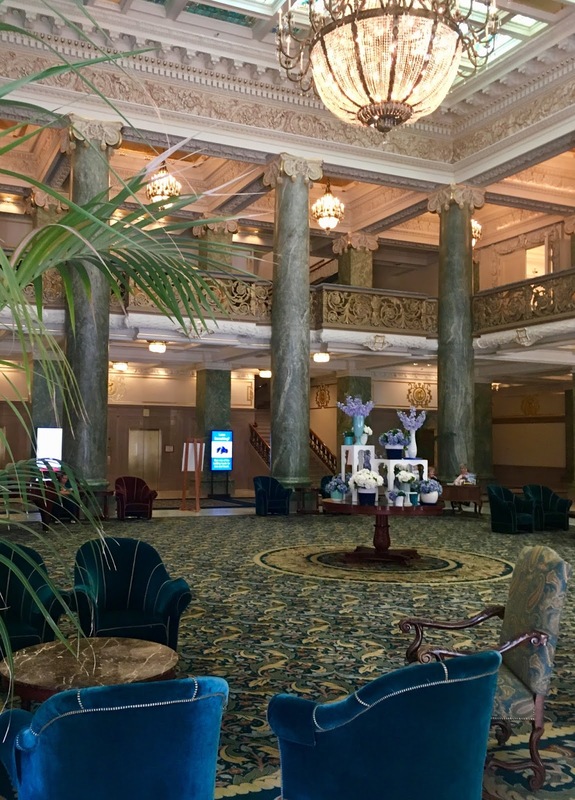 The lobby of the Joseph Smith Memorial Building. Temple Square and the surrounding area in Salt Lake City, Utah is beautiful. The buildings are historic, the grounds are meticulous, and the streets are immaculate. This building is beautiful, inside and out. It's perfect for a special event and is definitely an excellent choice for a wedding venue. They have several banquet rooms to choose from, and from the photos I've seen, I think my choice would be the Empire Room.